A great skin care routine for strong tough skin! 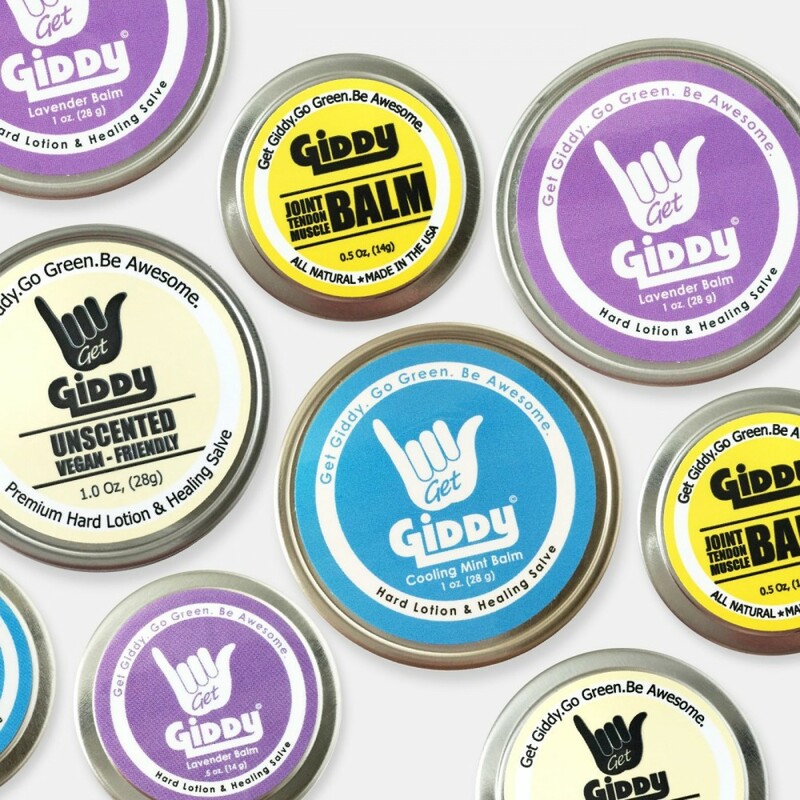 GIDDY All Natural Hard Lotion, Balm & Salve is designed to heal and protect your skin without any added softeners – keeping your skin, TOUGH! While originally formulated by rock climbers for rock climbers, this multi-purpose product can be used to treat flappers, blown tips, scrapes, cuts, abrasions, soothe burns, rashes, raw skin, cracked skin, cracked cuticles, road rash, abrasions, dry skin, poison ivy and any skin issue that needs moisturized and nourished. The all natural active ingredients are designed for fast relief to moisturize and promote healing without softening calluses that the body produces for protection. Why no skin softeners? Because a healthy callus is your body’s own natural protection and it hurts when they get soft and peel. GIDDY is for everyone, not just extreme athletes!